Since you are reading here, you may already know I’m a city girl who was born and raised in Memphis, Tennessee who works in agriculture now. I have moved several times in adulthood (and traveled a lot more!) and landed in St. Louis most recently. All of that shapes how I view the world. You can catch more about my background on the blog’s about page. 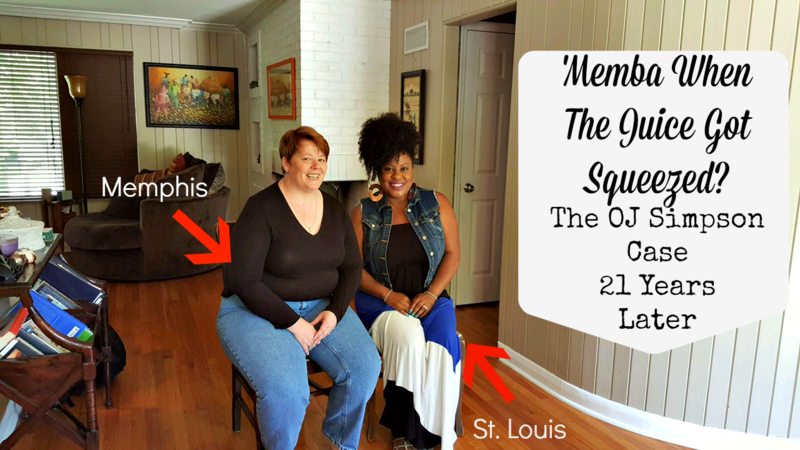 Some of you may not have had the pleasure of meeting my dear friend Danyelle but some of you may remember she was among the first people I met in St. Louis who weren’t connected to work. I attended the social media conference she organized called Show Me The Blog and a year later spoke at the conference. Now that my job is blogger outreach, she’s been to a couple of events I planned for work too. She is a city girl who was born in St. Louis and spent most of her life here, but she’s had a few short breaks living in other parts of the U.S.
Like me, Danyelle has plenty of opinions! That’s what this series will showcase — our thoughts and opinions. Her post on this And while that seems like a lot of background, but it seems like it will help you understand the series. Before I go any further, let’s watch the video. I am sure some of you are thinking about that question and I’ll admit I had to ask Danyelle what she was thinking when she mentioned him as a possible topic. Danyelle and I had two very different experiences when it came to the murder of Nicole Simpson & Ron Goldman and the subsequent trial of OJ Simpson. She remembers almost every minute of it, in large part because she was home with her newborn son. I remember a few choice CNN moments — the car chase, moments of drama in the case, etc. I had no idea the anniversary of the OJ trial was about to hit and Danyelle knew it like the back of her hand. Talking through it though, I was surprised by so many timely pieces. Not only is it the anniversary of the death of Nicole Simpson & Ron Goldman, but OJ continues to have problems with the law. And I had no idea that there would be a TV series based on it! Check out the cast of FX’s American Crime Story. Besides that, I think the discussion around privilege and the treatment some folks get because of it is always timely. In a couple of weeks, Danyelle & I will be back giving our thoughts on something. We’d love to hear your thoughts too! We have a few things in mind but could also take suggestions. Whatever it is, you can count on us giving you a few thoughts, hopefully a few laughs and you will likely see me look at her adoringly… she tells me that’s our thing LOL! This is the start of something good, girl. I think we have good camera chemistry. As for OJ, you know I’ve shared many of my feelings during our taping but I still can’t wrap my head around the fact that he was found not guilty. The evidence was overwhelming. Wow. I don’t believe it has been that long but I believe it is important to keep up the dialogue on one of the most famous cases in legal history. interesting. I think OJ did it. The glove simply shrank a little due to being soaked in blood. You both have great chemistry on camera. I’m still convinced someone else did it…but I also remember watching the trial in 3rd grade. My teacher stopped instruction and everything. Interesting… I wonder how many teachers did stuff like that.